Powder Valley is running a great Wolf Ammo Special right now. All Wolf rifle ammo in .223 Rem and 7.62×39 is just $5.00 per box of 20 rounds. This Polyperformance ammo features polymer-coated steel cases (non-reloadable). The polymer coating ensures smooth feeding and extraction. In addition, the coating helps prevents the steel cases from leaving marks on your shiny metal parts or painted stocks. Note that Wolf ammo has a 100% performance guarantee. If you are not satisfied, Wolf will refund the pro-rated purchase cost of the unused portion of your ammo. Can’t argue with that. Disclosure: Powder Valley Inc. advertises with AccurateShooter.com. 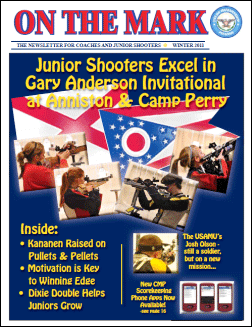 Share the post "Bargain Pricing on Wolf Centerfire Ammo at Powder Valley"
Share the post "New On the Mark Magazine — FREE PDF Download"